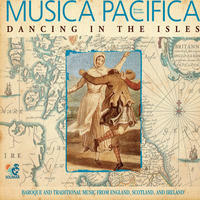 Musica Pacifica: Baroque and traditional music from england, scotland and ireland. At home in the San Francisco Bay Area, these artists are masters of their repertoire who regularly perform with Philharmonia Baroque, American Bach Soloists and other prominent early music ensembles across the country and around the world. Musica Pacifica combines this world-class musicianship with imaginative programming and a spirited performing style, bringing electricity, brilliance, and exuberant vitality to its performances of the intimate chamber music of the Baroque. The Washington Post noted: "the effect was transporting - a small miracle of precision and musical electricity." Such enthusiasm - from both the press and the public - has marked two decades of Musica Pacifica performances, and has won the ensemble an international reputation as early music specialists. Its programs are carefully crafted to showcase the charm, elegance, and diversity of 17th- and 18th-century music, with the core group frequently joined by world renowned guest artists in varying combinations of recorder, oboe, violin, cello/gamba, harpsichord, lute/guitar, voice, additional strings and percussion. Over the years, Musica Pacifica has brought one inventive, beautifully performed program after another to some of the most prestigious concert series in the U.S., including Music Before 1800 and the Frick Collection (NY), the Getty Museum (Los Angeles), the Cleveland Art Museum, the Pittsburgh Renaissance and Baroque Society, the Seattle Early Music Guild, Early Music Now in Milwaukee, the Houston Early Music Society, the Los Angeles County Museum, the San Diego Early Music Society, and the Cambridge Early Music Society, among many others. 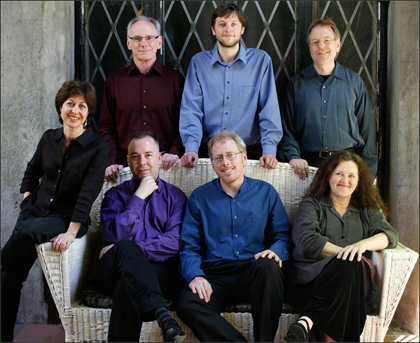 The ensemble has been featured at the Berkeley Early Music Festival three times, and their first appearance there was cited in Early Music (UK) as "perhaps the standout of the entire festival." Musica Pacifica has also received international acclaim for its performances in Austria and Germany. Broadcast audiences have heard the ensemble on German National Radio, as well as on National Public Radio's "Performance Today" and "Harmonia," and Minnesota Public Radio. Musica Pacifica's eight recordings - including repertoire by J.S. Bach, Vivaldi, Alessandro Scarlatti, Marin Marais, Telemann, Francesco Mancini, as well as Baroque and traditional music from the British Isles - are marked by what Goldberg Magazine (Spain) called "elegant, stylish, and thankfully unmannered performances." They have been lauded in the classical music press, garnering the highest ratings in classical CD magazines and repeatedly being chosen as "CD of the Month" by the early music journal Alte Musik Aktuell." 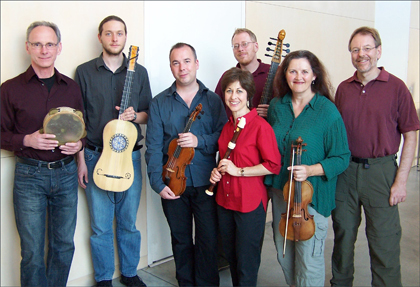 Musica Pacifica's 2007 release, "Fire Beneath My Fingers", was a featured recording on Minnesota Public Radio, and called "one of the most exciting Baroque recordings I've heard" by a reviewer in Audiophile Audition. The Telemann CD was described by Early Music America Magazine as "superbly elegant...exemplifying the finest in historical performance today," and went on to win the Chamber Music America/WQXR Record Award for 2003, honoring the best chamber music recordings of the year. Musica Pacifica's CDs have also won international recognition; the Mancini recording was cited in 2000 as a "Noteworthy Disc" at the International Antonio Vivaldi Awards for Italian Early Music in Venice. To have earned such honors, truly, in the words of Fanfare Magazine, "this is playing to ravish the senses." Online, Musica Pacifica may be heard on radio station 1.fm, and on Last.fm; and seen on 크레이지슬롯 사이트YouTube. Please also visit their website for more information about them and to purchase their other recordings. Musica Pacifica lives in California, USA. Tagged as: Classical, Folk, Renaissance, Baroque, Instrumental, Cello, Composer: Francesco Maria Veracini, Composer: Giles Farnaby, Composer: Henry Purcell, Composer: John Johnson, Composer: Matthew Locke, Composer: Nicola Matteis, Composer: Robert Johnson, Composer: William Byrd, Harpsichord.